The hair transplant market in Turkey expands significantly each year. Since 2011, the political issues of the country devalued the Turkish Lira almost %400. This naturally created many opportunities for foreign people. One of the opportunities was in the hair transplants in Turkey. The problem with the hair transplants in other countries is, it is expensive. On top of that, the quality of the surgery is not higher than Turkey. In fact, many clinics in Turkey are very successful and their results prove it. However, it doesn’t apply for every hair transplant in Turkey. How Did Turkey Become So Popular? Turkey has always been proud of its doctors. It is almost a tradition in Turkey that being a doctor is a very important goal for the children. And one day when these kids achieve it, they are not afraid to improve themselves. Most of the doctors try really hard to find solutions to the problems. What makes them different is, Turkish doctors constantly look for new ways to solve the problems when others think there is no solution. This innovation culture in medicine makes doctors popular in many areas such as dentists, plastic surgeons, and hair restoration doctors. With its doctor steadily improving and contributing positively to the industry, the Turkish Lira’s fall is the other side of the story. Because of the political instability, Turkey experienced a significant loss in its currency and still suffers from the recession. This created an excellent opportunity for people who were willing to restore their hair but couldn’t afford it before. In a short amount of time, Turkey became a paradise for these people. Low prices combined with high-quality doctors to create a great alternative to the local doctors. With the many successful results, Turkey took its rightful place in the hair transplant world. 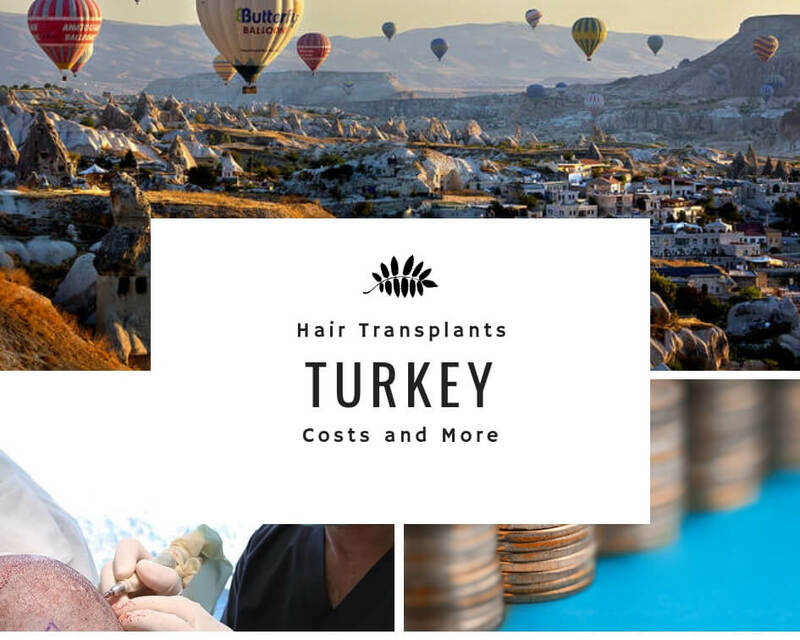 With the success of its surgeons and the quality of the facilities, Turkey positioned itself as the second biggest hair transplant market in the world, according to the reports. The total market value of hair transplants in Turkey approaches to the billion level fast. The more exciting thing is, despite the market size, the cost of the hair transplant is very cheap compared to the United States and the UK. And the reason is straightforward, because of the devaluation of Turkish Lira, the equation of the hair transplant is the graft price times the number of grafts times the currency. Now let’s say you need 4000 grafts and the price of each graft is a dollar. You pay your surgeon 4000 dollars plus whatever expenses you have for flight tickets and accommodation. Compared to the average you would pay in the United States or the UK $15,000, you spend almost one third. This is a win for you. You might wonder why does the surgeon accept to do that, the answer is because it is also a win for him too. You pay him $4000, this makes more than 20,000 Turkish Liras. As it seems like a huge amount, don’t let the numbers confuse you. The doctor’s ability to buy is less than his American colleague because of the inflation. Still, as the surgery gets more expensive for the Turkish people, it gets cheaper for the foreign people. Therefore the surgeon needs the foreign demand and it is a win for him. When there is a win-win situation like this, it is natural that both parties enjoy it. But this advantage doesn’t still make it easier for patients to choose their surgeon. After seeing before after photos and comparing the prices, there is still an issue of trust. Let’s explain it a little further. There is a problem in this market. If you were reading different resources, by now you probably realized there are many sad stories people experienced. At this point we must say this, the market in Turkey may not always be safe. And the reason is the low costs itself. When the price drops too low, there is always a risk of having a problem. In any industry, it is the same. But when it comes to the health, it is irreparable. Once you make the mistake, it takes a lot more energy and money to fix the initial mistake. 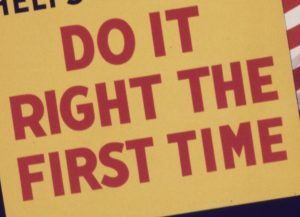 Therefore, we always recommend: Do it right, do it once. The low prices don’t necessarily mean you will get into trouble, in fact, you may still get a very natural looking hair. However, this is taking a risk. ISHRS is working very hard to stop the black market. In each conference, they try to find solutions on this issue. 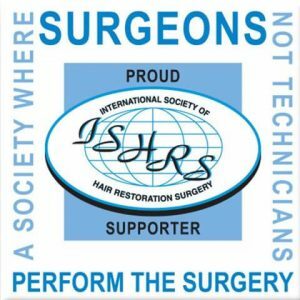 ISHRS’ main goal is for its surgeons to perform the surgery personally without using the technicians. The reason is, especially if you are having an FUE hair transplant surgery, the extraction part is very important. We explained this in our earlier article “FUE Hair Transplant and the Importance of The Extraction” but briefly, each successful extraction of the hair follicle adds to the overall success of the surgery. In addition, it increases the chance of having a natural look after the surgery. A lot of people who chose Turkey for their hair transplant procedure complained. They claimed that the surgeon didn’t perform the surgery, but rather technicians conducted it. For some people, this might not matter as long as the results look good. However, when the results are not satisfying, naturally the patient complains about the technician involvement. Thus, you might want to decide first if you are okay with the technician involvement. If you want to find a doctor who doesn’t use a technician, you might want to look for specifically this. ISHRS doctors are obligated to perform the surgery individually and therefore checking your doctor’s activity status with them through their website might help. This would help you protecting from getting into anything you don’t want. Once you make your decision, you will start seeing different prices for each clinic and doctor. Mainly, there are two different strategies. The first type of pricing for hair transplants in Turkey is the packages. 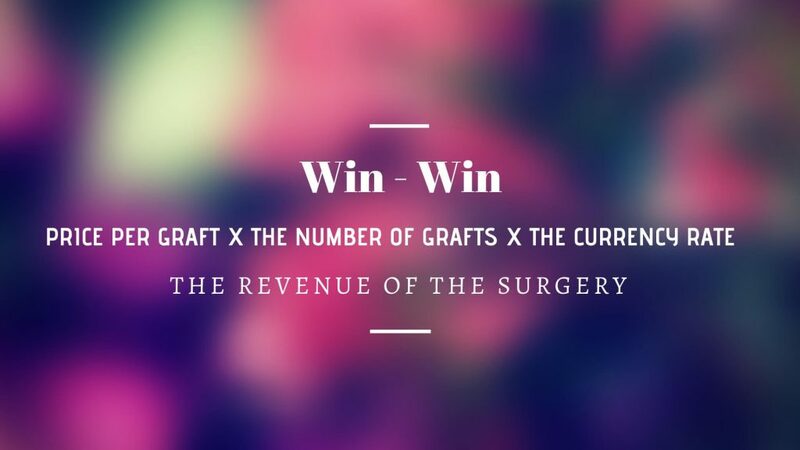 Hospitals and less experienced surgeons choose this strategy. The idea is selling the service at a low price to gain experience in the area. People usually complain that the hospital surgeons lack the aesthetical touch and even if the hair transplants are very durable, the look might not be very natural. Similarly, the inexperienced young surgeon might not get you the best look. But they are still very skillful and can do a great job nonetheless. The prices are between $1500-2500 for the packages, and they include the flight tickets and accommodation as well. The other type of pricing is the per graft rate based pricing strategy. This pricing is the strategy of more experienced and famous surgeons in Turkey. They generally set a fixed price for per graft and might help you with the accommodation. They usually don’t get involved in the flight tickets. The strategy is for the patient to ask for a free consultation. These clinics would like first to see the patient and determine the graft number. In some clinics tough, the surgeon might not want to do the surgery and decline the patient. When the patient’s hair and scalp characteristics are not fit for an operation, they explain the reason and offer alternative methods. These kind of surgeons are more experienced and professional. Therefore the chances of a natural look are higher if you are suitable for a hair transplant procedure. The price variety is higher in this type. It changes between 50 cents to $3 per graft. The numbers might vary slightly depending on your unique case. When you compare the prices, remembering this is crucial. A high rate doesn’t mean the surgeon performs the entire surgery personally or will get the best results. Meanwhile, the cheapest option could have the surgeon conducting the procedure personally and may get you the best result. We have prepared something for you which might help you find a surgeon you can trust. “How To Find A Hair Surgeon You Can Trust” might help you decide your strategy while you choose your surgeon. It seems very reasonable for people to choose Turkey as their hair transplant destination. The cost of hair transplant in Turkey is very fair if you can manage to find a doctor you can trust. However, it is not just about the prices and quality. Turkey is one of the most beautiful countries in the world, and Turkish Lira’s weakness presents a fantastic opportunity for outsiders. You will spend at least 5 days in Turkey through the process. You will be resting after the surgery but then you will want to go out and see a new place. 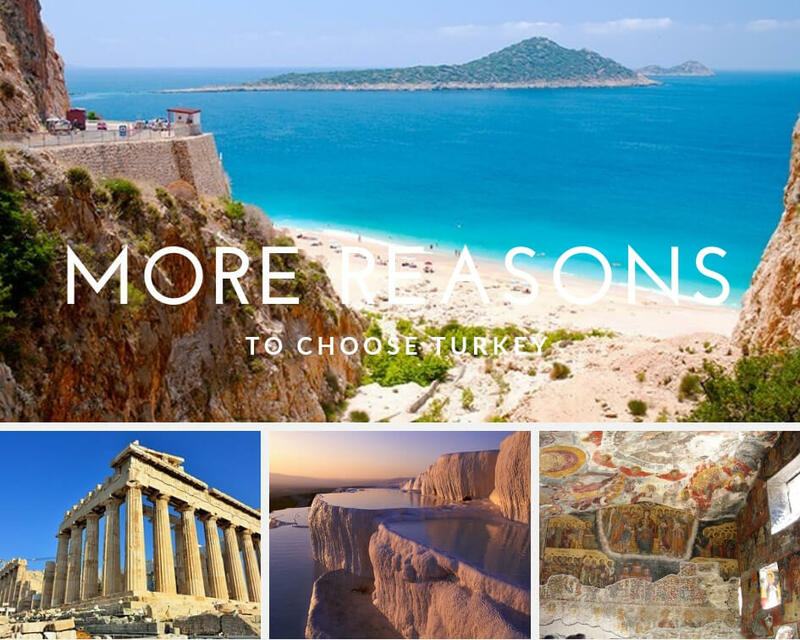 Istanbul or Ankara, you will have plenty of options to choose from. If you like history, Turkey is a country of history. If you want to see some art, it is there. If you want to go shopping, there are a lot of shopping malls and places. The best part in all of this is, whatever you do when you spend money, it will be cheap for you. It takes a long time for the market to correct prices and when you are there, you will be enjoying the power of your money. The FUE method hair transplants’ recovery speed is fast, and the post-surgery pain is not much. This means that with extra care, you can visit places you are curious about while healing. Since the prices are cheap for you, you can visit nearby destinations for meager prices while you are there. If you have time, you can go a few days earlier before your surgery and visit places with a limited budget. Health tourism is prevalent these days in Turkey. It could be a good idea to take advantage of the destination and make the most out of it. Ultimately, this is the idea. Hair transplant cost in Turkey makes it an essential alternative if you like to pay considerably less. However, this comes with a risk; if you end up with the wrong surgeon, this whole thing can turn into a mess quickly. Therefore, we always recommend very thorough research before making any decisions. If you make a mistake, it will cost you more time and money in the end. Given the fact that everyone is so busy these days, this increases the number of complaints after surgery. Most of the time, it is because the patient rushes and misses the point. Therefore no matter how busy you are and how good the offer is, not rushing and giving yourself some time before making the final decision is essential. Because most of the times we think something makes sense the moment, but when we wait for a while for the emotions to sit, we realize it was just a temporary feeling. But, if you think your decision is still the final after a while, then go for it. In the end, this is your decision and your hair. All we can do is to hope that you find your ideal surgeon. And we will be here to help you while you do that. Meanwhile, we hope that you have more information about the hair transplant cost in Turkey now. If you need more help, just let us know.